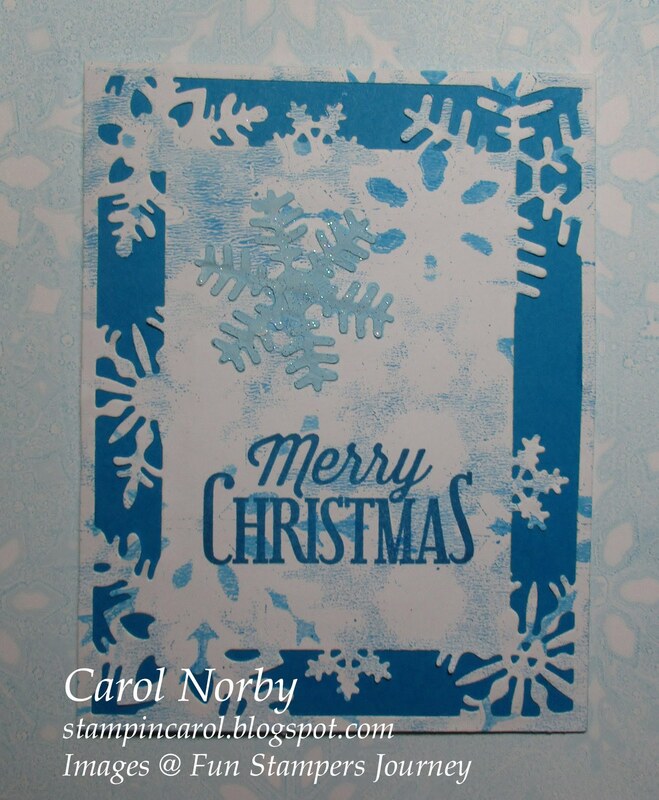 Stampin Carol: WOYWW 446 and SNOW! 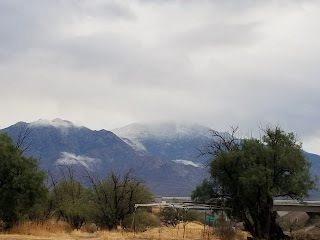 I live in southern Arizona and it's winter, well tomorrow anyway. And it's hump day, yep, the middle of the week. And it's also What's On Your Workdesk Wednesday! Today you get the opportunity to view my desk and many others, should you head over to the Stamping Ground where our head desker Julia so graciously helps so many of us link together. But before I show you my desk I wanted to show you a nearby mountain from Monday morning. This is Mount Wrightson on the left and Mount Hopkins on the right. On Mount Hopkins is the Whipple Observatory run by the Smithsonian. I was just finishing up a couple more Christmas cards as I ran out. I guess over 40 just wasn't enough. On the left the lime green thing is a die and its packaging. I used another one from this set to make the cards in the middle. The reddish thing to the right of the die is a stamp set of Christmas sayings. Then the cards. 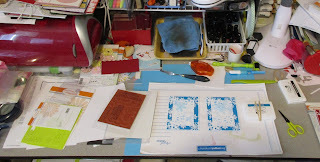 Next right is a blue ink pad, my scissors, a black ink pad and the corner of another stamp package. Above the cards is my palette knife as I used some modeling paste on the cards. 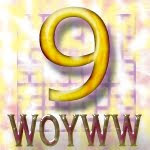 And here's one of the 2 cards I made (both are alike). 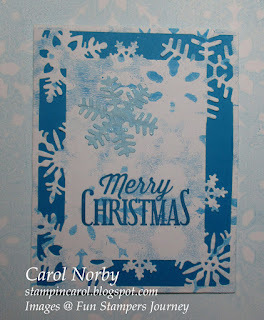 The blue pattern piece was made on my Gel Press. Here's a closer look at the snowflake. I colored the modeling paste with some of our paint and added some fine glitter after getting it on the paper. 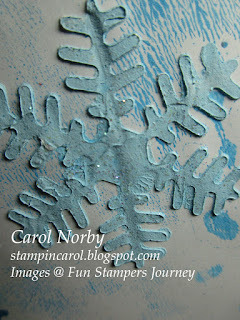 The snowflake is made from die cutting my snowflake and using the negative for the modeling paste. I'm thinking I should have made the snowflake a bit darker but it works. 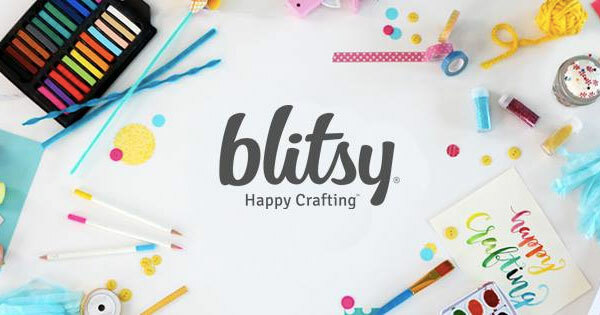 All products used are from Fun Stampers Journey. I hope you head over to the Stamping Ground from here. I do have some laundry and other chores to do so I will be popping in and out. And I hope you all have a very blessed and wonderful Christmas! over forty cards!!! Thats amazing, and beautiful! Have a wonderful Christmas! Hi Carol. That's a lovely card. No, there's never enough Christmas cards - always one we have forgotten!!! I've been having to do the same thing - last minute sends! Have a really special Christmas season. Oh nice view Carol, who’d have thought it, winter tomorrow! Made me smile. I guess our real winter is January, at the moment here it’s a bit grey and wet. Yuk. I still haven’t got around to experimenting with paste, I must say with some colour it makes a really delicate snowflake, your card is fab. Thanks for letting me rummage all over your desk this year, it’s been great for me.....keep going?! Happy Christmas!